Take in our views, every day! Spectacular water, mountain and Narrows bridge views welcome you home at Miramar. Our large 1, 2 & 3 bedroom apartments offer fireplaces, new carpeting and balconies. 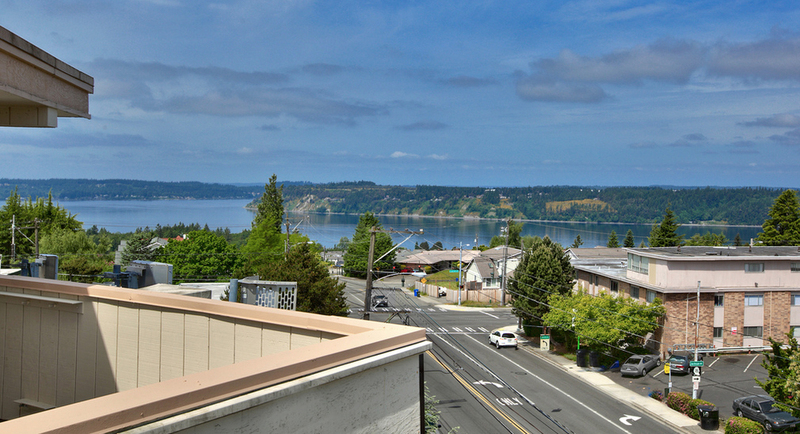 Located between upscale North Tacoma and University Place, residents can enjoy impressive parks, shopping, movies, dining and award-winning schools. Just 20 minutes to military bases. Close to beaches and water adventures or enjoy our heated community swimming pool when you call Miramar home!